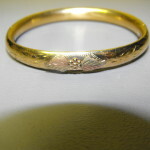 This time the subject is bangles of the antique gold filled variety. 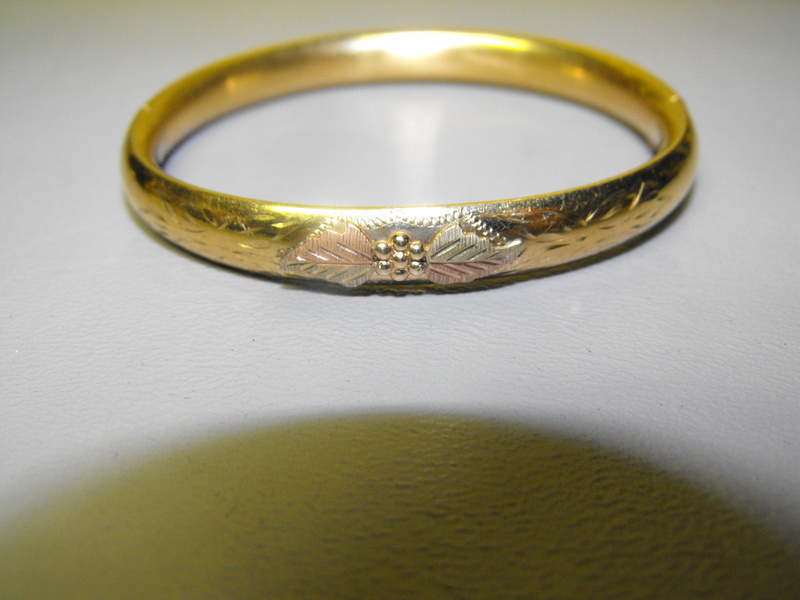 This bangle measure 1/4″ wide and about 2 1/2″ inside diameter with a an inside expansion bar clasp which is marked 14-kt gold filled. 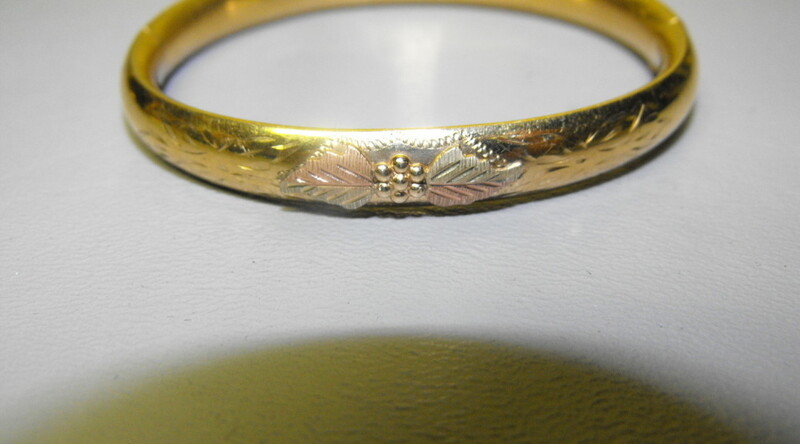 The bangle has a lovely etched floral medallion on the top. 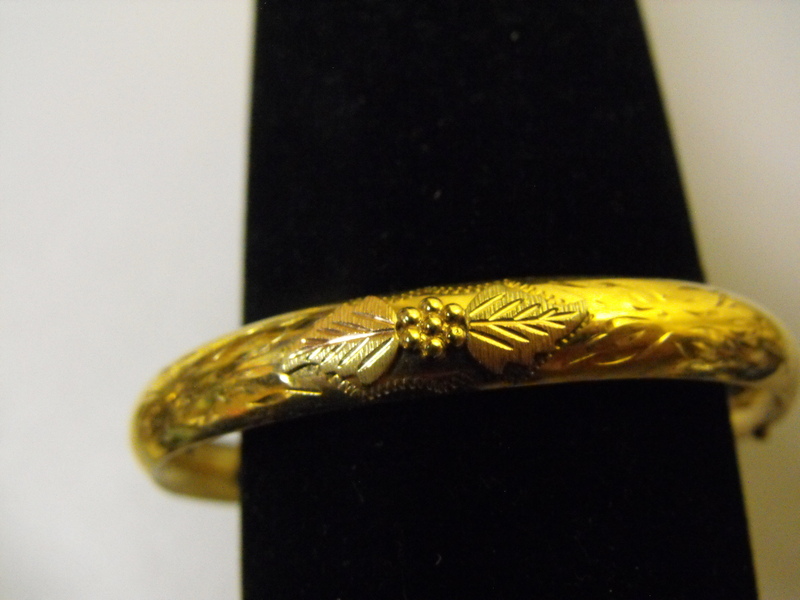 There are no dents and this antique bangle is in great condition. So make a statement and dangle a great bangle. 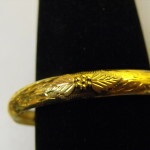 Previous PostGold Filled Antique Hinged BangleNext PostGold Filled Antique Bangle Signed W.E.H.